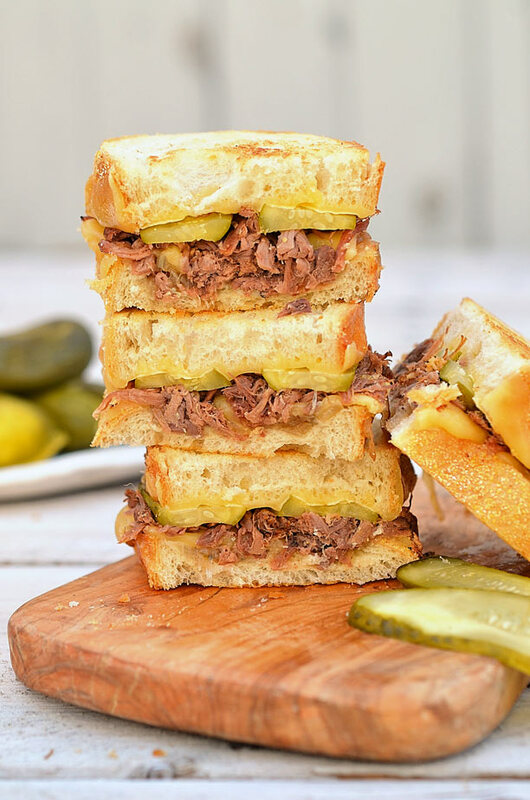 This beef brisket and gouda grilled cheese is our gourmet version of such a simple sandwich. 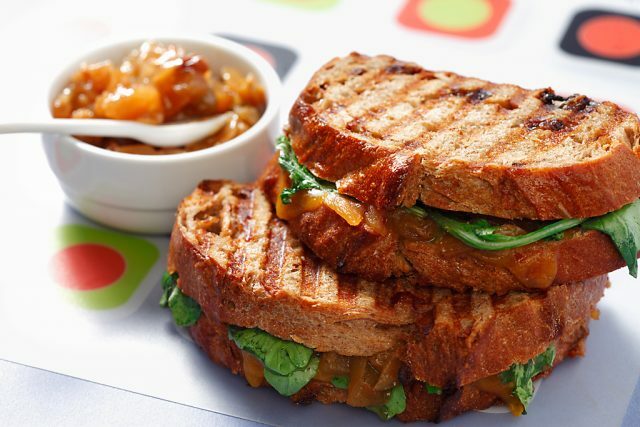 This recipe is from our friend Chef Afrim Pristine and was featured on the Great Grilled Cheese Challenge. 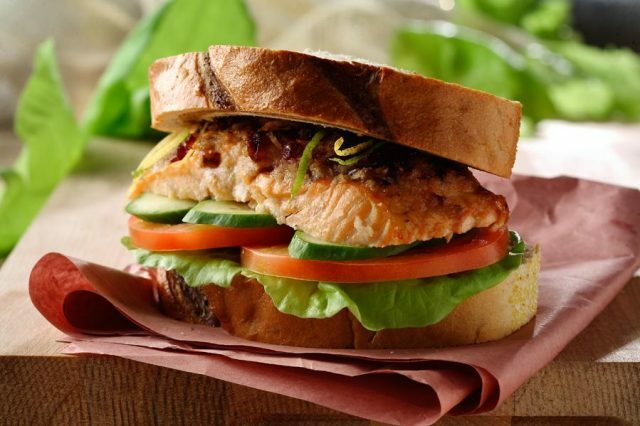 Brush both slices of bread with canola oil. Set aside oil-side facing down. 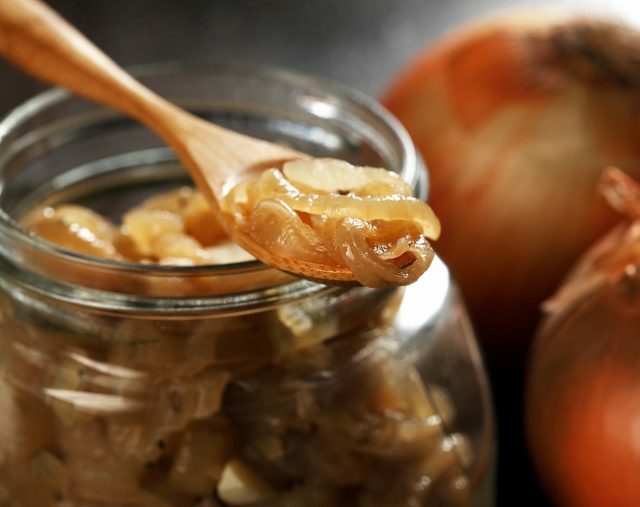 Spread one side of bread with caramelized onions and cover each slice of bread with 1 1/2 oz of sliced cheese. Heat non-stick pan over medium heat. Place each piece of bread into the pan, cheese sides facing up. Cook for 2 minutes, and then pile beef brisket on one slice of bread. Cook for another 1 minute or so to warm up brisket‎ and until the cheese is perfectly melted. Remove bread from heat and let cool slightly, about 2 minutes. Place pickles on top of warm brisket. Close up the grilled cheese and enjoy!